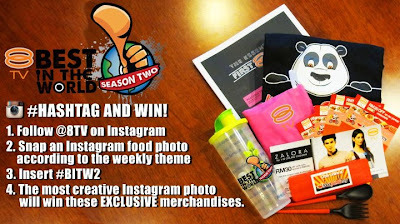 Add the title of your photo "Bazaar Ramadhan Food #BITW2"
The most creative Instagram photo will win these exclusive merchandises. Winner will be announced next Tuesday, 21 August. Visit 8TV Facebook for more details.